He even kind of looks green in his Twitter profile pic! 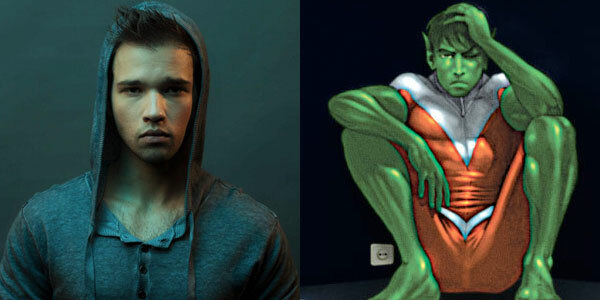 All kidding aside, Nathan Kress is well known for his role on iCarly, has that "young looking guy with chest hair" thing going on that Garfield Logan always had in the George Perez days, and who knows, maybe instead of a Star Trek type show, this Gar starred in a kids' series. Stranger things have happened.